Innovative backpack for speed hiking and mountainbiking with fully knitted suspension system and excellent vest like fit. 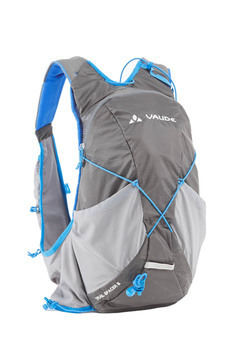 Lightweight, exceptionally comfortably fitting backpack for fast-paced hiking, active mountain biking and trail running. Innovative 3D suspension system in knit with a seamless construction. Pleasant microclimate and carrying comfort as well as shock absorption thanks to the 3D construction. Knited suspension system without foam, can be produced without remnant materials. 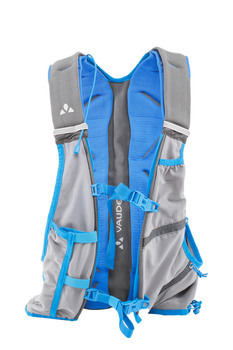 The vest-style backpack construction offers great freedom of movement. 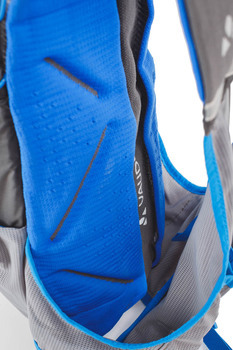 In our opinion, the new lightweight knitted, seamless 3D construction of the material on the shoulder straps make this speed hiking and MTB pack a real innovation. Its advantages: snug flexible fit, great load distribution, outstanding breathability and freedom of movement with less EVA foam.